Exercise has been found to improve mental health conditions such as depression, anxiety, addictions, grief, dementia, bipolar disorder and others. It has also been proven to relieve stress and even boost your mood. 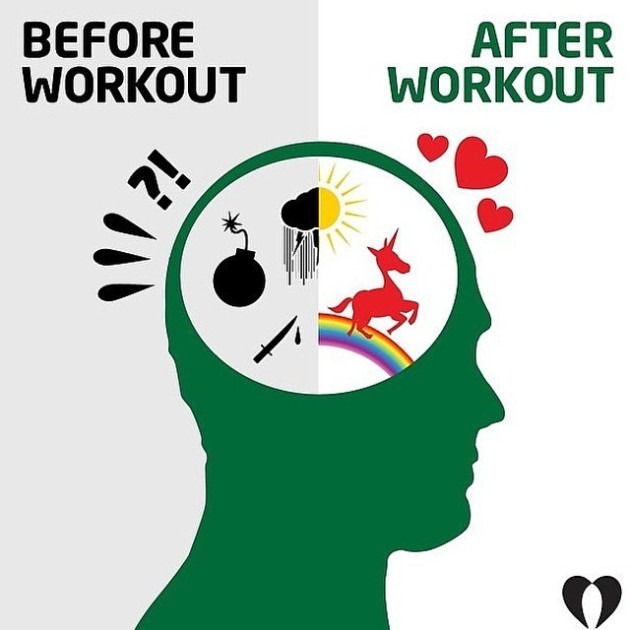 When we exercise the brain releases endorphins, hormones which trigger a positive feeling in our bodies. Exercising gives us the opportunity to take a break from the current stressors in our lives and forces us to be mindfully present. We all know how exercise affects us physically, but it is also essential to mental health as well. An inactive lifestyle can lead to a myriad of chronic conditions such as obesity, heart disease, a shorter life span and more. Many of us begin exercising to improve our physical health, yet never really think about exercise as a way to improve our mental health too. Studies have proven that exercise can improve memory function and maintain brain health as we get older. The hippocampus region of the brain is particularly important for mental health. This region involves memory, emotions, and learning. Exercise can increase the production of new hippocampal neurons, thus keeping your mind sharp as you age and less susceptible to various mental health conditions. Physical results of a new exercise program can be seen after as little as 4 weeks, however, emotional results can take place immediately. Training should be seen as a complete lifestyle change and continued indefinitely. Even if you can just start with a ten minute walk every other day and then work your way up to longer increments of time, you will notice the emotional boost it has on your life. See if you can work up to 3-5 times/week of at least 30 minutes of exercise (this could be weight training, biking, brisk walking, swimming, etc…) While exercising less than this can still be beneficial, the recommended minimum is three times per week. Be careful about programs that promise physical results fast, there is no quick fix to a healthy lifestyle. Some common roadblocks you might encounter while training could be lack of time or energy, having young children, working or not having access to a gym. If you acknowledge whatever your roadblock is, and ask yourself “how can I make time for this?” instead of saying “I don’t have time for this” you can challenge and overcome these limiting thoughts. Freedom Within believes exercise is a very important part of mental health, if you need to discuss how to overcome any roadblocks to beginning a training routine please contact us today!